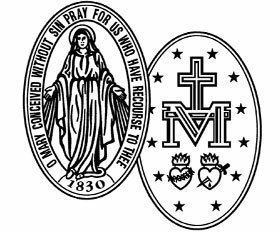 The International Miraculous Medal Association is the worldwide confraternity of all those who wear the Medal of Mary Immaculate, commonly known as the medal of Our Lady of Grace or the Miraculous Medal. The Association is present In 45 nations and endeavors to unite every nation on earth under the mantle of Mary their mother. As Virgin most powerful, she holds the globe of the world and offers it every day to God our Father, through Christ her Son. Presently we are expanding the Association in Russia and Ukraine. The Association prays and helps the poor in all our countries. If you wish to start a local association in your area, please contact Rev. Carl Pieber, C.M. Thank you for your help in spreading devotion to Mary throughout the whole world.